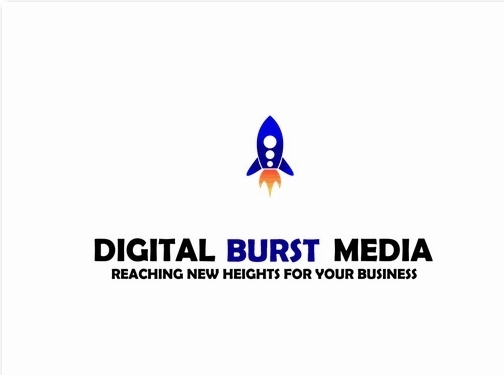 Our directory is a human-reviewed, niche business directory dedicated only to business to business related websites. Perfect for related sites to help them get direct exposure to their website and also boost their search engine rankings - click here for more information on the benefits of listing your website in our directory. 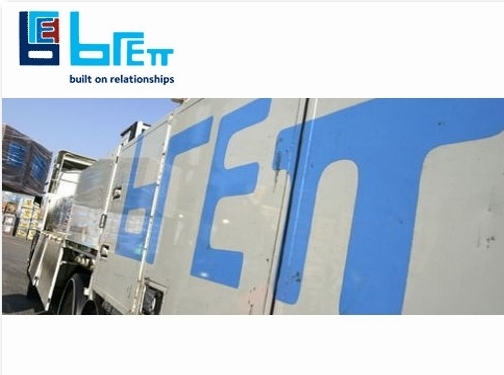 UK (Hartlepool, Cleveland) based business - established in 1998 - providing diesel generators for sale. Website includes e-commerce facilities, delivery and returns information, terms and conditions, associations, blog, full contact details. 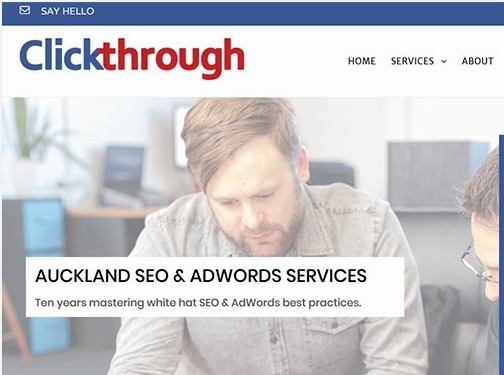 We offer in-person SEO, Analytics, Social Media and AdWords training courses in Auckland, Wellington and NZ wide. 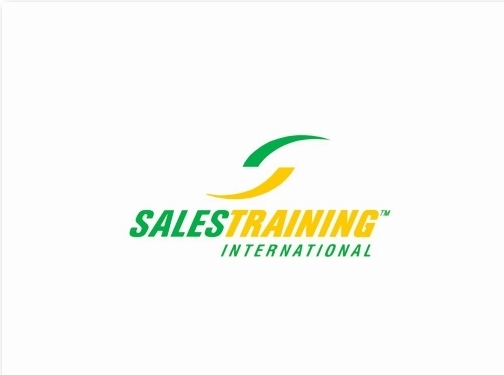 We also offer remote e-training courses to companies around the world. 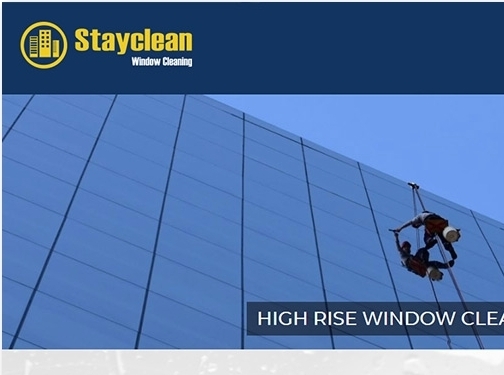 Stayclean is more than a window cleaning company. It’s a cleaning partner who cares about impeccable sanitation strategies as its clients do. UK (Bristol) based business - established in 1996 - providing window cleaning services. Website includes details of services provided, "meet the team" photos, work examples, accreditations gained, associations belonged to, testimonials, articles, full contact details. 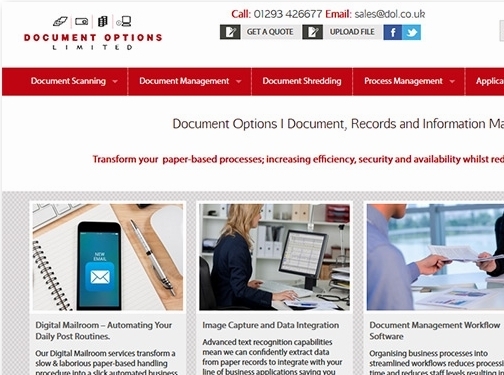 UK (Crawley, West Sussex) based business - with over 20 years' experience - providing document management service. Website includes details of services provided, "meet the team" page, case studies, testimonials, certifications, associations, full contact details. 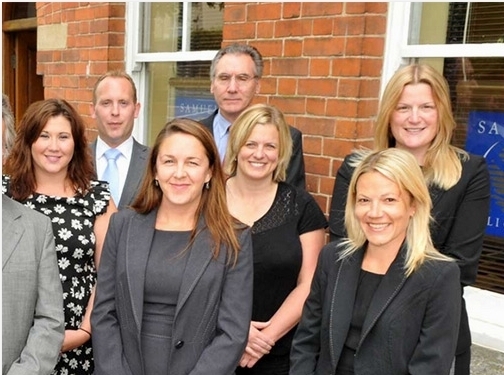 UK (Barnstaple, Devon & Kingsbridge, Devon) based business - established in 1990 - providing a range of legal services. Website includes details of services provided, "meet the team" page, regularly updated blog/news section, associations belonged to, testimonials, full contact details. 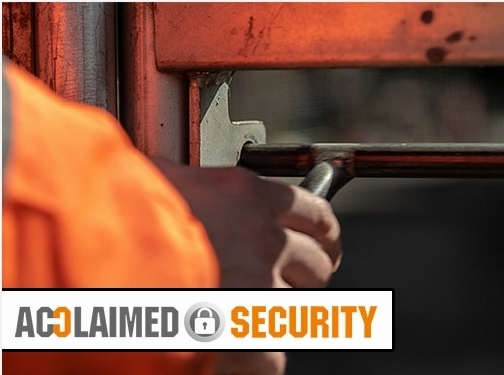 Company is regulated by the Solicitors Regulation Authority. 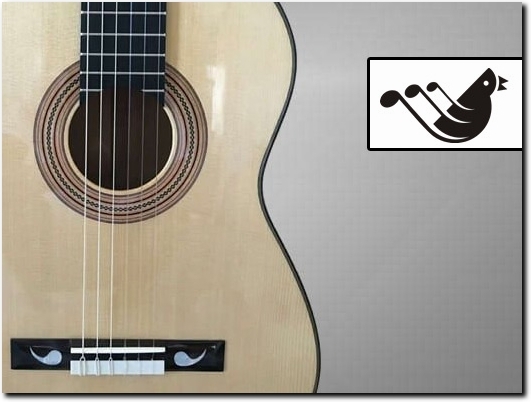 China (Xianyang, Shaanxi) based business - established in 2016 - providing musical instruments and parts for sale. 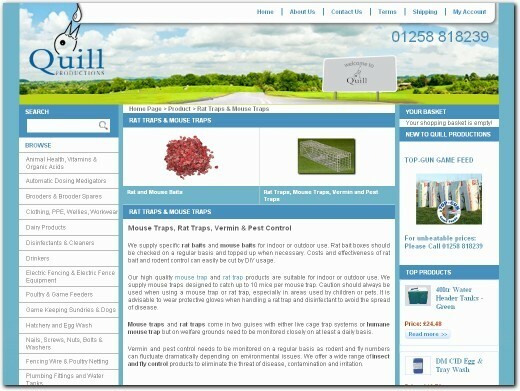 Website includes product catalogue, FAQs, blog, full contact details. 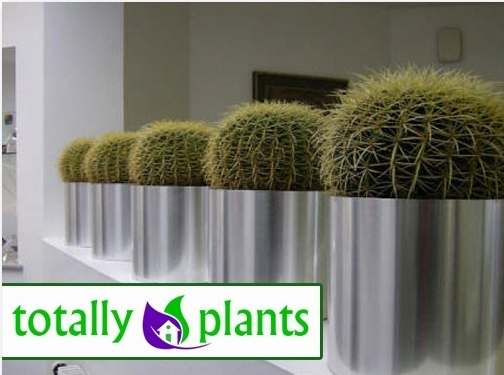 Totally Plants offers a wide range of luxury plants specifically chosen for home and office decor, transforming any bare room into a beautiful, welcoming space. UK (East Hoathly, East Sussex) based business providing plants for sale. Website includes e-commerce facilities, delivery and returns information, terms and conditions, FAQs, blog, full contact details including company registration and VAT numbers. 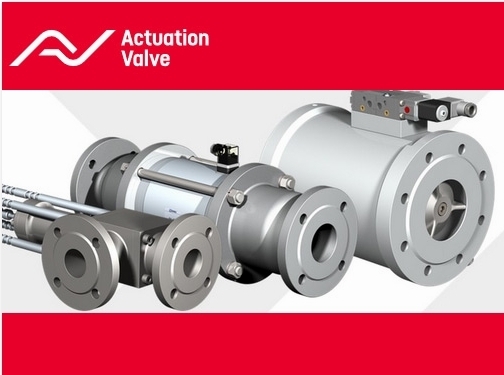 Actuation Valve supply a complete range of Pneumatic & Electrically Actuated Valves packages. 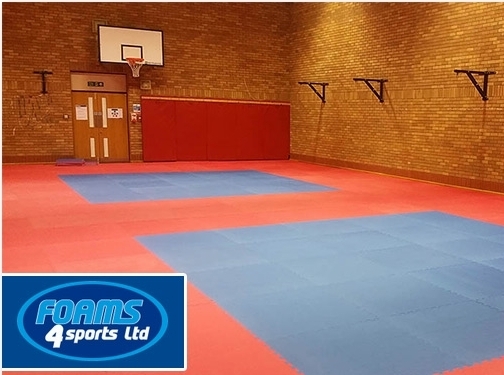 Fully Certified, Assembled & Tested in the UK with same day delivery. TBL Performance Plastics is an industry leading USA based manufacturer of plastic tubing, fittings, single-use assemblies, and high-purity custom machined (non metallic) parts. US (New Jersey) based business - established in 2002 - providing plastic tubing, fittings, single-use assemblies, and high-purity custom machined (non metallic) parts for sale. Website includes product catalogue, details of services provided, blog, FAQs, full contact details. 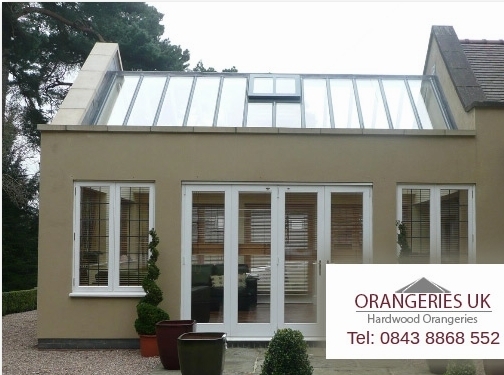 Orangeries UK are a nationwide supplier of high quality Orangery, Conservatory and Home Extension structures. We make all of our Orangeries and Conservatories in-house using -quality, long-lasting hardwoods including Sapele, Oak and Idigbo. 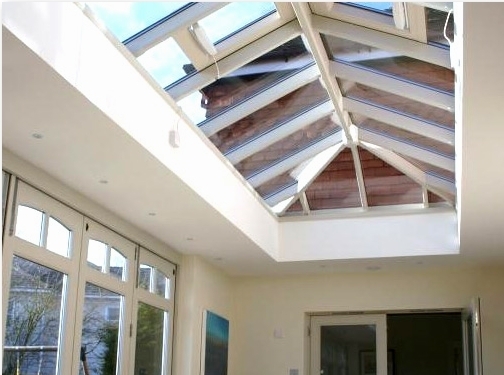 UK (Little Horwood, Buckinghamshire) based business - established over 10 years ago - providing joinery services (orangeries). Website includes details of services provided, FAQS, work examples, details of business premises, pricing, photo galleries, certifications, full contact details. 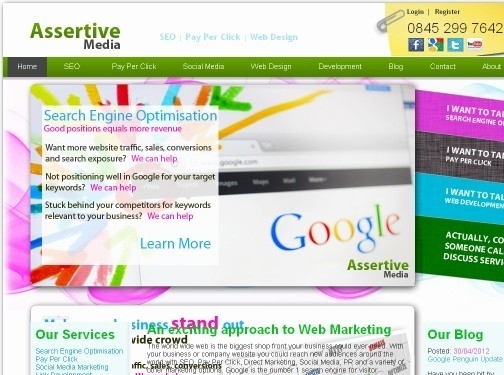 UK (Wigmore, Luton) based company - established in 2007 - providing website design, PPC and internet marketing services. Website includes details of services provided, portfolio, case studies, associations, certifications, blog, full company contact details. Company website has been online since 2009 according to web.archive.org. Are you after commercial properties? If so, look no further than Python Properties. 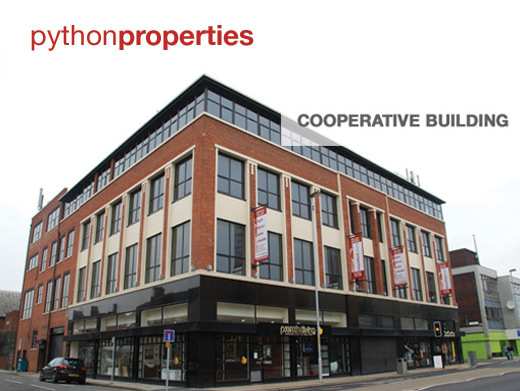 Python Properties offer smart and stylish serviced commercial properties to let in Bolton, Middlesbrough, and Warrington. No matter the size of your business, Python Properties will have a range of commercial properties for you to select from. The commercial properties are all owned and directly managed by Python Properties. The rent rates for Python Properties’ commercial properties are extremely competitive, the service charges are low, and the lease terms are available on a flexible basis. Current businesses renting commercial properties include Bob Cuffe at Gazette Media based in Middlesbrough. He said: “One of the things I like about Python Properties is their ambition. They have got great commitment to the Tees Valley and that is what this area needs - businesses that have a positivity and ambition. Python Properties have been key regenerators of the centre of Middlesbrough and likewise Stockton and beyond that." Gareth Boyd at RK Accountancy plc rents commercial property in Warrington. He said: "Bank Quay House is a fantastic location right in the heart of Warrington it is a very pleasant environment. We are really pleased with the standard of the accommodation and always try to get our Clients to come to our offices. 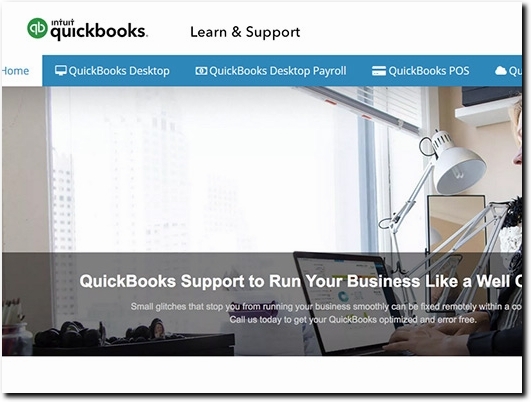 This is important to us and the feedback we get is always very positive." Ian Collier at Christian Aid also rent commercial property in Warrington. He said: “We were looking around for buildings we could lease and this is was one of the central offices which has been refitted. We could choose the interior layout that we wanted and any optional extras and we decided that Bank Quay House was the building that exactly suited our needs. The money per square footage is very competitive; the owners Martin & Peter are very approachable and very, very good at listening." 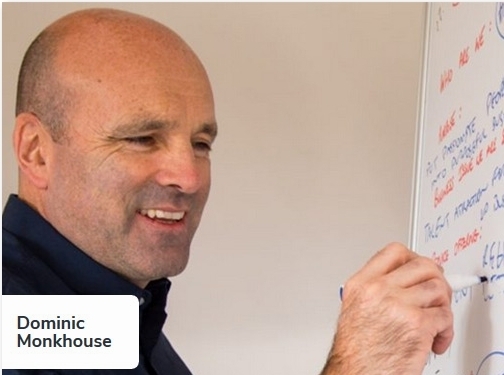 Python Properties was established in 1997 by its two Partners, Peter Broome BSc MRICS, Chartered Surveyor, and Captain Martin Johnson MNI. Its aim is to bring the high quality standards to the commercial properties markets. UK (Middlesbrough) based company - established in 1997 - providing residential and commercial accommodation. Website includes accommodation portfolio, testimonials, terms and conditions, press mentions, full company contact details. 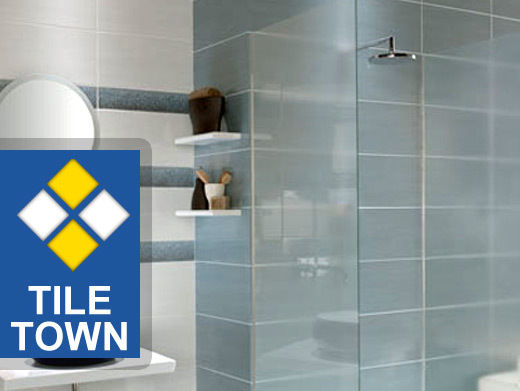 Tile Town are a well known established tile company based in Derbyshire United Kingdom, selling bathroom tiles and kitchen tiles to domestic and commercial customers. 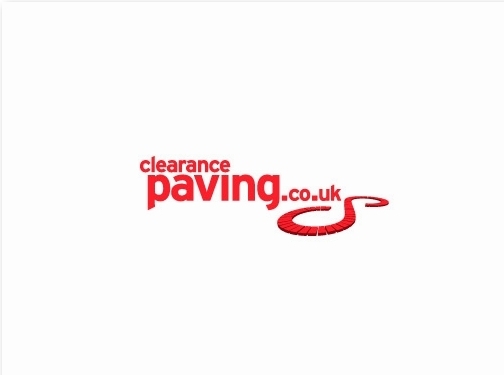 UK (Derby and South Normanton) based company - established in 1990 - providing bathroom, kitchen and floor tiles for sale. 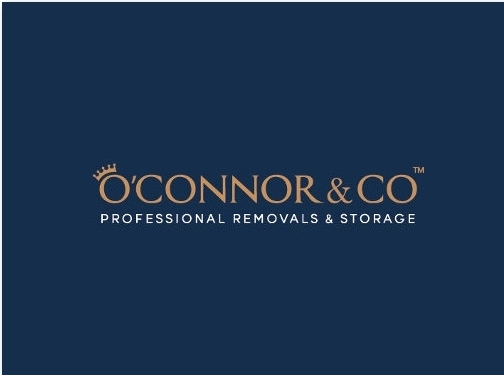 Website includes e-commerce facilities, delivery and returns information, terms and conditions, FAQs, testimonials, details of physical premises, full company contact details including VAT number. With satisfied customers in 56 countries worldwide, Clock PMS pioneers the transformation of hotel systems from data-focused to guest-centered platforms that correspond to the latest customer demands and changes in the travel shopping behaviour. UK (London) based business - established in 1994 - providing project management systems for hotels. 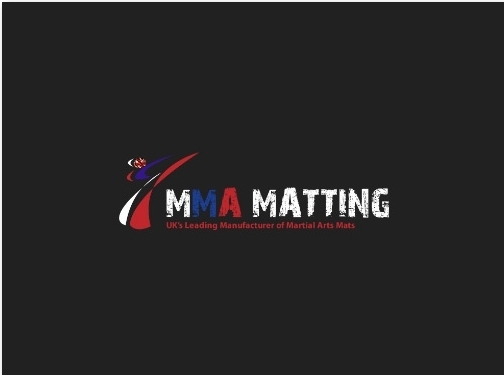 Website includes details of products and services provided, client list, testimonials, blog, terms and conditions, full contact details including company registration number. 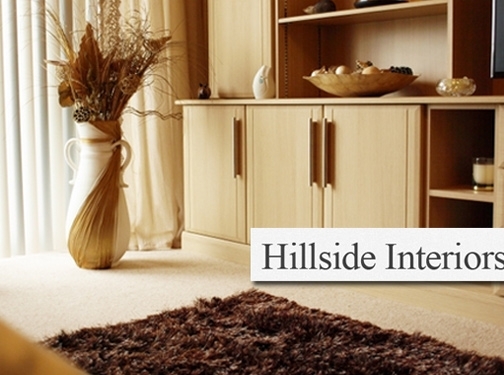 Hillside interiors show room is located in the known Lenleys furniture store in Canterbury, Kent. Hillside provides a high quality made to measure fitted bedroom service which is why demand is so high. UK (Canterbury, Kent) based company - established in 1999 - providing interior design services. Website includes details of services provided, work examples (photo galleries), details of showrooms (with opening hours listed), associations, full company contact details. Company website has been online since 2004 according to web.archive.org. P&J Entertainments provide entertainment hire services in London, Essex, Kent, Middlesex, Sussex and Hertfordshire. Explore the fantastic range of bouncy castles for hire, children's inflatable bouncy slides, family fun day packages, team building events, corporate event & entertainers, garden games, rodeo bull hire and much more available on the website. 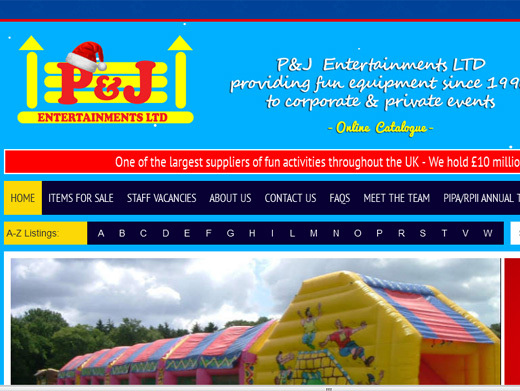 P&J Entertainments has established a superb reputation for delivering just what is needed to make that event a successful fun one. This is why P&J is known as the ultimate entertainment company in London, and very reliable, professional staff and knowledgeable which gives all customers re-assurance their event will run smoothly. UK (Leyton, London) based company - established in 1990 - offering entertainment produicts and services. 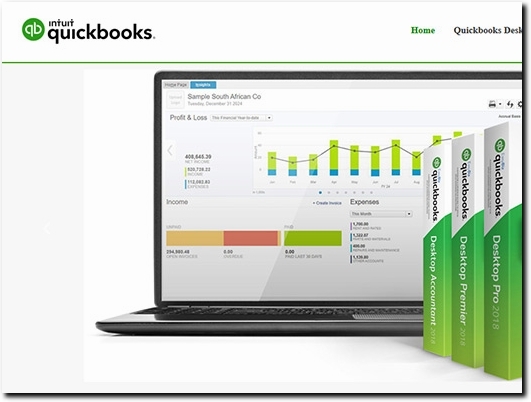 Site features details of services provided, FAQs, contact details. Quill Productions know how important it is to keep rodents away. Rats and mice can spread in numbers very quickly and before you know it the rodents at taking over and sometimes causing problems at the work place or at your home. We supply rat bait and mouse bait for indoor and outdoor use. We also supply high quality mouse traps and rat traps which again are suitable products for indoor and outdoor use. Our traps are designed to catch up to ten mice per trap. Vermin and pest control supplies by Quill Productions. UK (Dorset) based company providing pest control products. 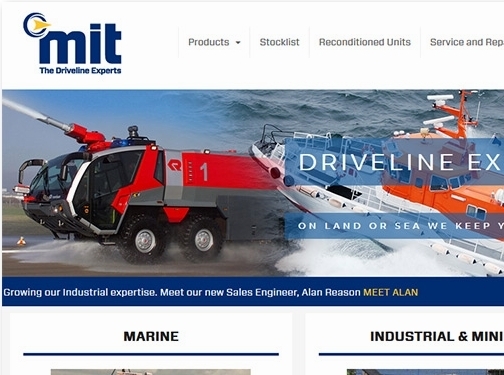 Website includes e-commerce features, delivery information (under "Shipping"), returns information (under "Terms"), full company contact details.